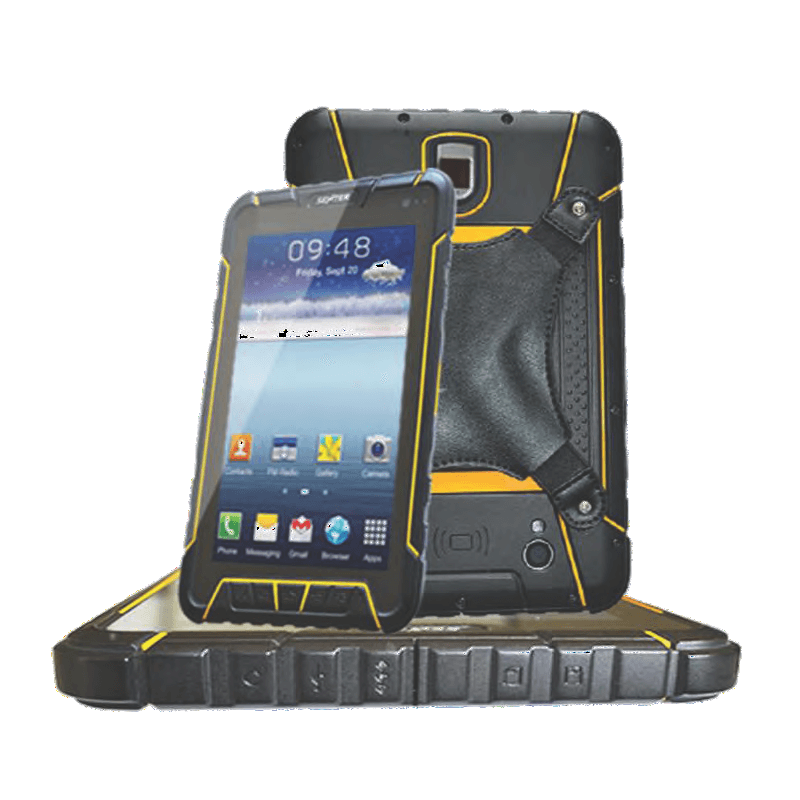 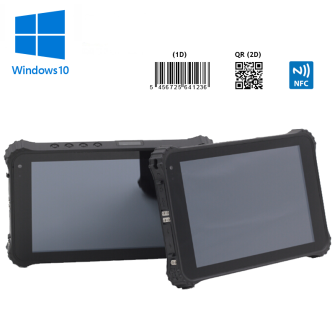 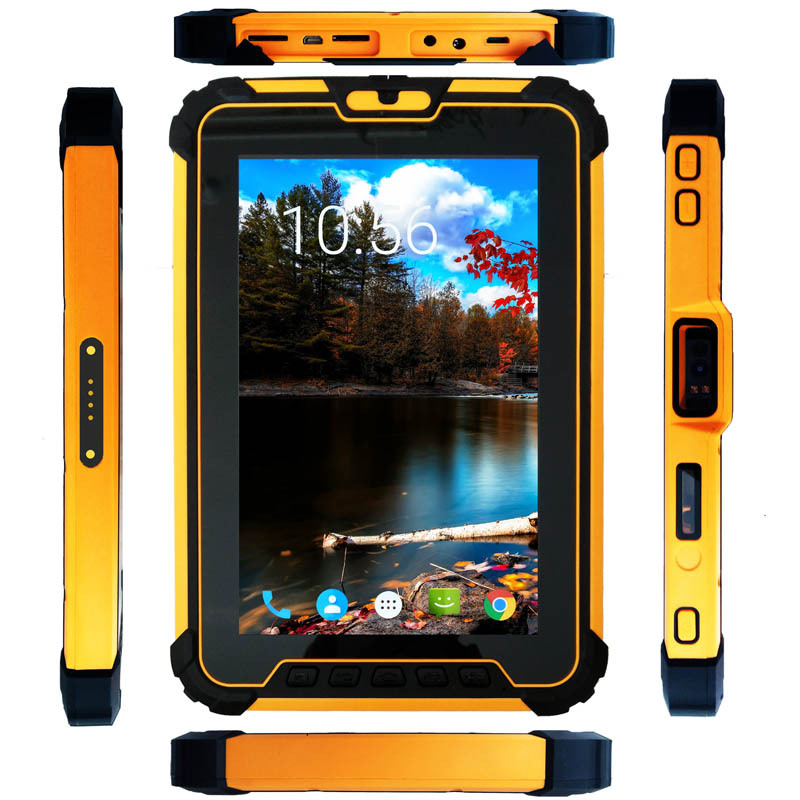 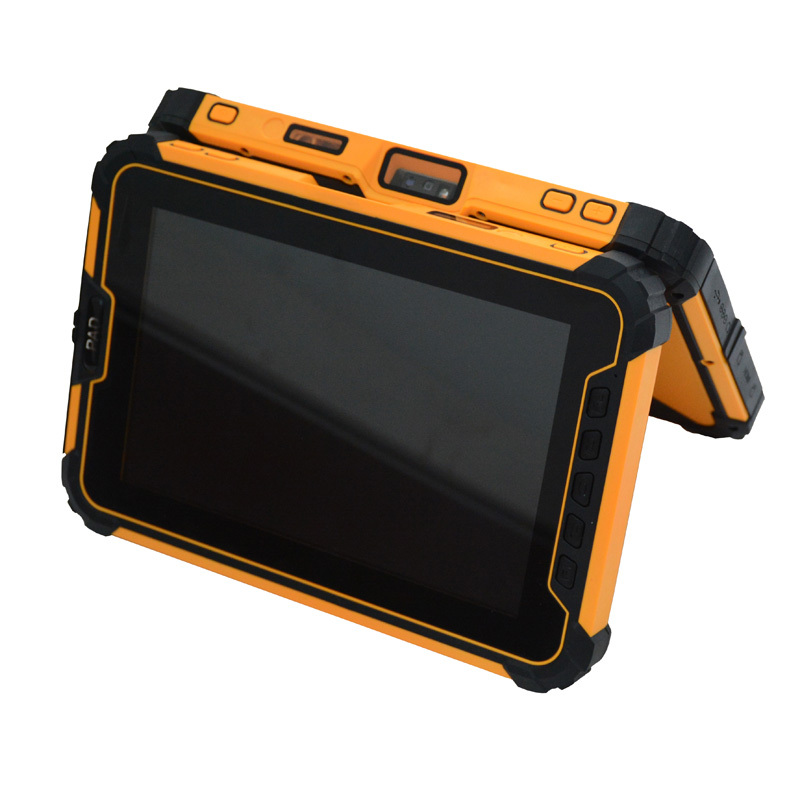 JM908 Industrial tablet PC adopts Qualcomm MSM8953 Octacore 2GHz CPU and Android 7.1 operation system;4G RAM,64G ROM, NFC, 4G LTE. 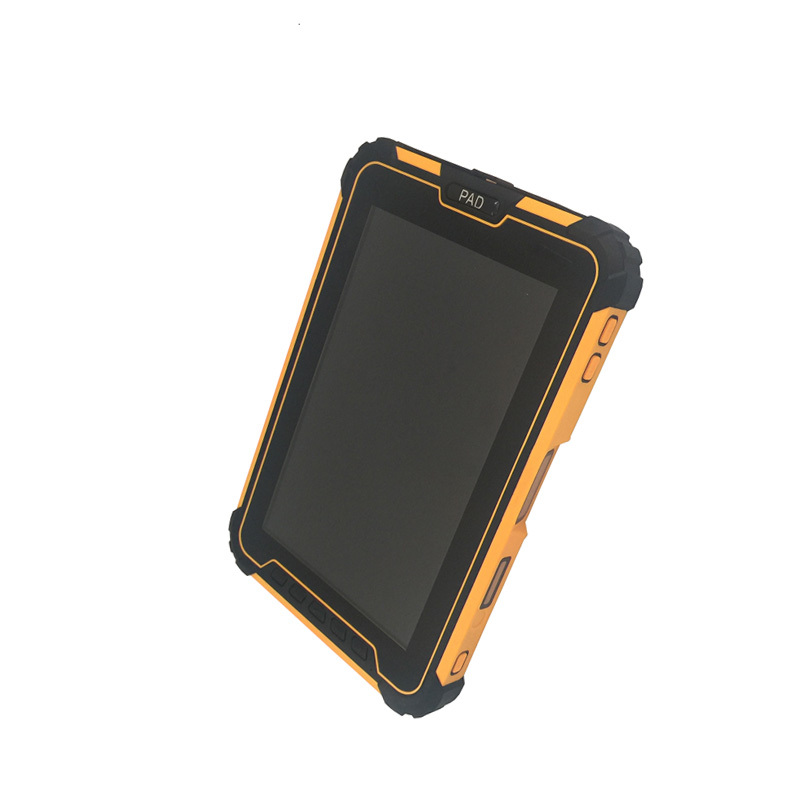 Sunlight readable LCD screen; can configure optional functions like barcode scanning, RFID reader, Fingerprint identification as well as other information acquisition module; has super long battery life with 10000mAH battery; IP67 high reliable three-proof structure water/dust proof; drop resistance from 1.2m.It not only has intelligent operation platform, but also has modular functions with flexible configuration. 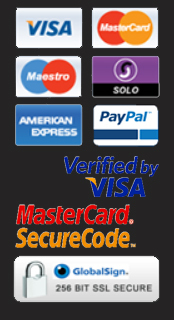 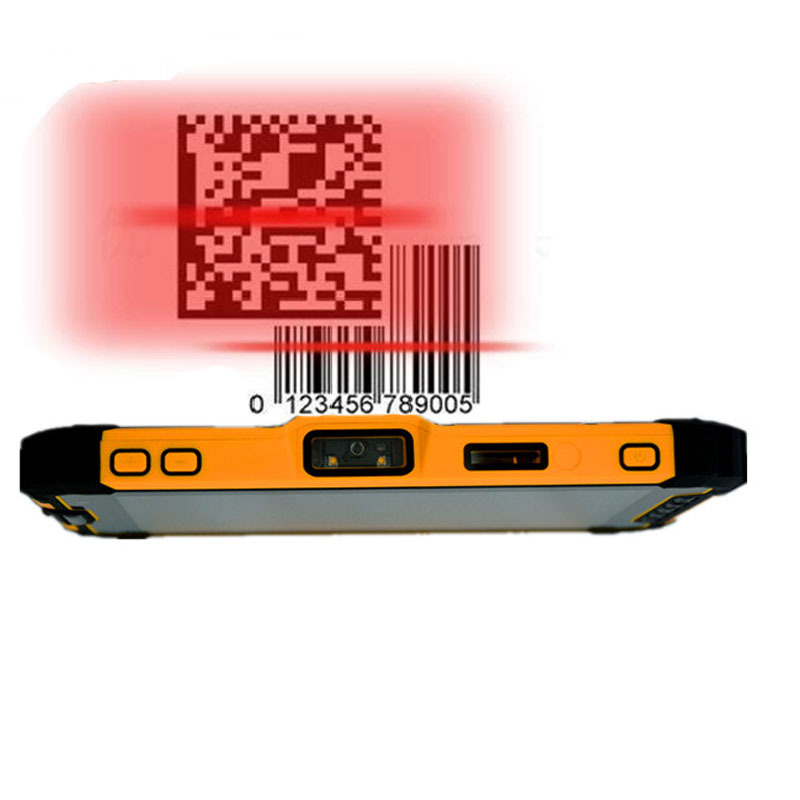 So it can satisfy the customized requirements from different customer. 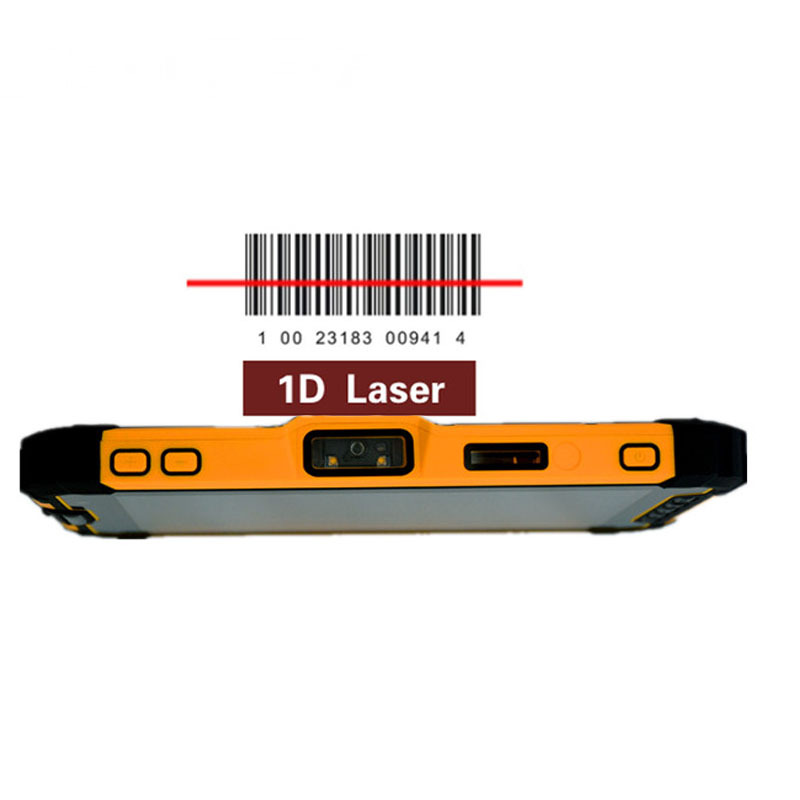 Built-in Zebra 2D barcode scanner scans all types of 1D and 2D barcodes from any surface.